Kavery Dry Ice Dry Ice in bangalore dry ice used for Blast Cleaning Manufacturing & Storage Containers Safe Handling Shipping Fog Special Effects Science/School Traveling/Camping Broken Freezer Other Uses Selling Dry Ice History of dry ice Dry Ice is frozen carbon dioxide, a normal part of our earth's atmosphere. It is the gas that we exhale during breathing and the gas that plants use in photosynthesis. It is also the same gas commonly added to water to make soda water. This gas is often captured during industrial processes and recycled to make Dry Ice. Dry Ice is particularly useful for freezing, and keeping things frozen because of its very cold temperature: -109.3°F or -78.5°C. Dry Ice is widely used because it is simple to freeze and easy to handle using insulated gloves. Dry Ice changes directly from a solid to a gas -sublimation- in normal atmospheric conditions without going through a wet liquid stage. Therefore it gets the name "dry ice." As a general rule, Dry Ice will sublimate at a rate of five to ten pounds every 24 hours in a typical ice chest. This sublimation continues from the time of purchase; therefore, pick up Dry Ice as close to the time needed as possible. Bring an ice chest or some other insulated container to hold the Dry Ice and slow the sublimation rate. Dry Ice sublimates faster than regular ice melts but will extend the life of regular ice. It is best not to store Dry Ice in your freezer because your freezer's thermostat will shut off the freezer due to the extreme cold of the Dry Ice! Of course if the freezer is broken, Dry Ice will save all your frozen goods. Commercial shippers of perishables often use dry ice even for non frozen goods. Dry ice gives more than twice the cooling energy per pound of weight and three times the cooling energy per volume than regular water ice (H2O). 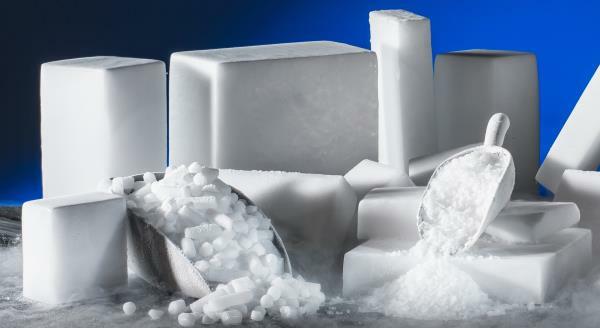 It is often mixed with regular ice to save shipping weight and extend the cooling energy of water ice. Sometimes dry ice is made on the spot from liquid CO2. The resulting dry ice snow is packed in the top of a shipping container offering extended cooling without electrical refrigeration equipment and connections. Dry Ice in bangalore dry ice used for Blast Cleaning Manufacturing & Storage Containers Safe Handling Shipping Fog Special Effects Science/School Traveling/Camping Broken Freezer Other Uses Selling Dry Ice History of dry ice Dry Ice is frozen carbon dioxide, a normal part of our earth's atmosphere. It is the gas that we exhale during breathing and the gas that plants use in photosynthesis. It is also the same gas commonly added to water to make soda water. This gas is often captured during industrial processes and recycled to make Dry Ice. Dry Ice is particularly useful for freezing, and keeping things frozen because of its very cold temperature: -109.3°F or -78.5°C. Dry Ice is widely used because it is simple to freeze and easy to handle using insulated gloves. Dry Ice changes directly from a solid to a gas -sublimation- in normal atmospheric conditions without going through a wet liquid stage. Therefore it gets the name "dry ice." As a general rule, Dry Ice will sublimate at a rate of five to ten pounds every 24 hours in a typical ice chest. This sublimation continues from the time of purchase; therefore, pick up Dry Ice as close to the time needed as possible. Bring an ice chest or some other insulated container to hold the Dry Ice and slow the sublimation rate. Dry Ice sublimates faster than regular ice melts but will extend the life of regular ice. It is best not to store Dry Ice in your freezer because your freezer's thermostat will shut off the freezer due to the extreme cold of the Dry Ice! Of course if the freezer is broken, Dry Ice will save all your frozen goods. Commercial shippers of perishables often use dry ice even for non frozen goods. Dry ice gives more than twice the cooling energy per pound of weight and three times the cooling energy per volume than regular water ice (H2O). It is often mixed with regular ice to save shipping weight and extend the cooling energy of water ice. Sometimes dry ice is made on the spot from liquid CO2. The resulting dry ice snow is packed in the top of a shipping container offering extended cooling without electrical refrigeration equipment and connections.